GEHWOL Med Nail Softener makes hard nails more flexible again and helps prevent them growing inwards. 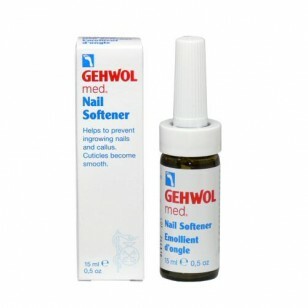 It also softens hard skin beneath the nail and in the nail fold, so that it can be easily removed without pain. Bisabolol helps prevent redness and irritation. Directions: Apply to affected areas using the dropper twice a day.